If You Like Fried Foods, These Tips Are Crucial! 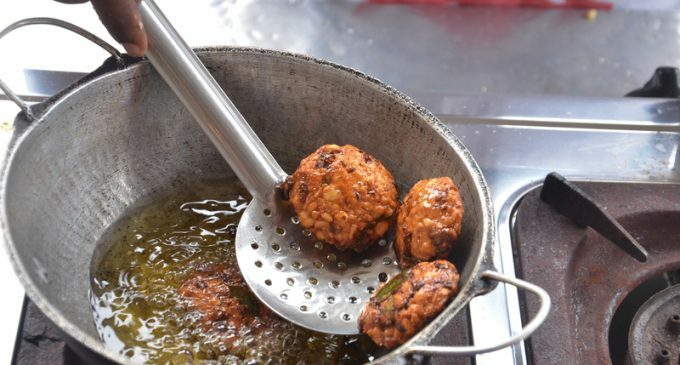 If you've ever deep fried any sort of food, you know that as delicious as it is, you also have a whole lot of oil left over that you then have to figure out what to do with. You might be tempted to just put it down the garbage disposal the way you would any other leftover food, but that thick, greasy oil can clog up your drain and maybe even require the services of a plumber! You don't have to just toss it in the trash, however. In fact, you can usually save your frying oil and reuse it, which saves money and can even be more efficient and convenient than using new oil every time. The secret, as with every other aspect of cooking, is to know the right way to do it. If you know how to determine if used oil is still good, then you can hang onto it without worrying about using when it's bad and making your food taste bad. To learn how to reuse your frying oil, please continue to Page (2) for our top tips.